Facebook is a popular social network and the popularity is growing with every day. But even if it is popular, some people are about to delete Facebook account. And to delete your account, you do it from account settings. But it is not really about to permanently delete your account, you can deactivate it. 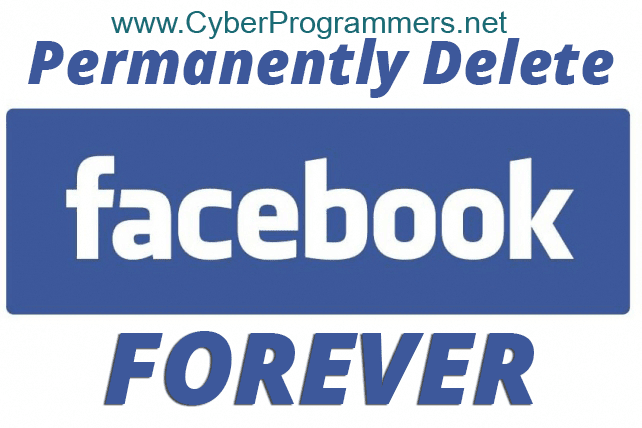 And there is a way to completely delete all of your data from Facebook for forever. First of all, make sure you are signed into your account you are about to delete and then open this link. Now press the "Delete my account" button and enter your account password, complete security check, and press the OK button. After success, you will get warning message like in the picture below. After 14 days, your account will be removed from Facebook completely. But you can log into your account within 14 days if you want to cancel the account deletion request.